Japan is ticking along a little better than first thought. Still, whether or not the world’s third-biggest economy slipped briefly into recession matters far less to policymakers than jobs and prices. Revised figures released on Dec. 8 showed gross domestic product in the three months to September rose at an annualised 1 percent, rather than shrinking 0.8 percent, as suggested by the first reading published three weeks earlier. The more complete picture showed capital spending by companies was stronger than first thought, and inventory numbers also improved. That means Japan has avoided the two straight quarters of falling GDP that are typically used as a definition of a technical recession. Bravo. Still, this is just a small positive. Though the revision was particularly big, GDP data, in Japan and elsewhere, is always subject to change. In any case, in a low-growth country like Japan a technical recession isn’t a terribly useful signal, much as a 10 percent stock market “correction” counts for little in a volatile emerging market. Japan’s labour market, and inflation, are more pressing concerns. A weak yen is helping companies rake in record earnings but they have been reluctant to pass on the windfall in the form of wage hikes – even though unemployment is at a 20-year low – or extra investment. 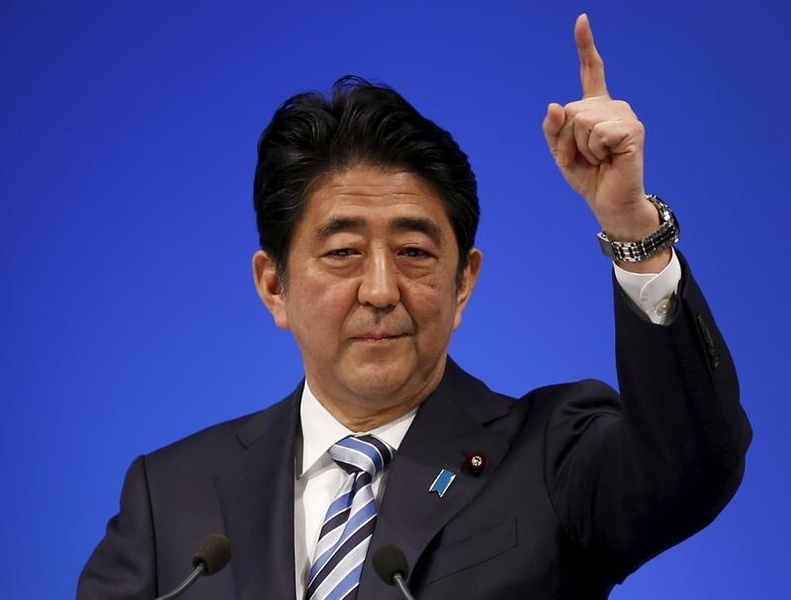 So Prime Minister Shinzo Abe’s government is trying to prod employers into raising salaries. Next spring’s “shunto” wage negotiations with unions will be crucial. Higher pay would in turn help boost consumer confidence and spending. A more inflationary mindset would help the Bank of Japan hit its 2 percent inflation target by early 2017. Still, scepticism abounds. The BOJ is reluctant to expand its bond-buying programme, which already totals an epic 80 trillion yen a year. It prefers to rely on a new “core” measure of inflation, which excludes the effects of lower oil prices. Yet a Reuters poll of economists, published on Dec. 7, showed most think the BOJ will have to ease further in the first half of next year, probably either in January or April. Recession or not, that doesn’t sound too healthy. Japan’s economy dodged a technical recession in the third quarter with the initial estimate of a contraction revised to an annualised expansion of 1.0 percent, offering a glimmer of hope for policymakers struggling to end years of stagnation. The upgrade, from a preliminary reading of a 0.8 percent decline in GDP, was bigger than the median market forecast for a revision to a 0.1 percent increase. The data suggests the world’s third largest economy, which contracted by 0.5 percent in the quarter ended June, is in better shape than initially thought. Capital expenditure was the key contributor to the upgrade, revised up to a 0.6 percent gain from a preliminary 1.3 percent drop, Cabinet Office data showed on Dec. 8. Initial estimates of a third-quarter contraction had meant Japan was in a technical recession - defined as two straight quarters in which GDP has declined.